As a woman in technology, I hear a lot about the lack of women in the field. While I was in college, I noticed that I was usually the only female in the class. My teachers treated me the same as the guys and my male classmates never seemed to care that I was a woman. After I graduated and started attending events like Microsoft’s annual Tech Ed, I realized just how much of a minority women are. The thing that keeps catching my attention, though, is how much of an issue people want to make out of it. Believe it or not, the technology field wasn’t always a “man’s” arena. It wasn’t until recent years that women became a downward statistic. A few of the reasons blamed for the decline are the fear of sexual harassment, women not being smart enough, and the tech world not being friendly enough to women. I’ve had just as many negative experiences with women as I have men in IT. While at Tech Ed in 2009, I was approached with smiles from most of the men and with icy tones from many of the women. In one video taken at CES, a marketing booth babe made the comment that “I don’t know any women that would choose the tech world over say shopping, or cooking, or something like that.” Just goes to show the women can be just as sexist toward other women as men. Some seem to believe that the lack of women in IT is because women are just not that good at computers and technology. I once read that one reason you don’t see a lot of women programmers is because women are not good at it. Let me set the record straight; back when computers first started out, there were more women than men doing the programming. I’ve taken programming classes and passed with high grades. The reason I don’t program is not because I’m not any good, it’s because I don’t enjoy it. The same could be said for other women and men that prefer other areas of IT over programming. 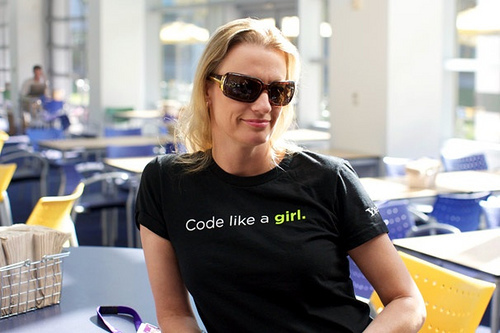 Recently, I read an article that suggested the tech industry be made more female-friendly. Instead of trying to change the industry, I think we should start with the school system. As a high school student, I was never encouraged to take any particular class. I saw the girls typically took parenting and music. The guys would find their way into mechanics and tech courses. I was a rebel and always went toward the tech classes. Looking back at all the things I learned, I wish they had required for both genders to take at least one tech-related credit. Programming is a good way to teach problem-solving. It also taught me that there is more than one way to solve a problem. Another important lesson programming taught me is that with some creativity, you can find loopholes in the rules. Conclusion: You can learn more than just what is written in the course description when it comes to tech courses. Even though you might not remember some of the code, you will remember the lesson you learned while learning the code. What’s scary for me is the lack of public schools that require a computer-related course for a high school diploma. While researching the topic, I found that only 12 out of 50 states in the United States (at the state level) require a computer credit to graduate. Most of the schools required between one-half to one credit for graduation. Why is it in a day and age where technology is at every turn, do we not require our students to take at least a credit’s worth of technology-related courses? It seems like it would be a good idea considering that so many jobs require the use of a computer in some form. In my house, we’re a little against the grain. My husband is a stay-at-home dad and I’m a full-time geek with a degree in computer engineering. We both encourage our son to enjoy all aspects of the home and geek world. My husband takes him into the kitchen to cook and I sit with him on the iPad and computer. I just wish our school systems could follow suit. Current statistics show that women are slowly on the rise in tech and STEM-related fields. According to Womenwhotech.org, 25% of all IT jobs are held by women. 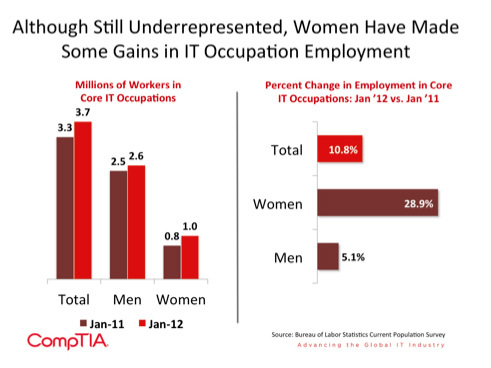 CompTIA states that between January 2011 and January 2012, there has been a 28.9 percent jump in women IT workers. Some might look at those numbers and think they’re still low, and they’re right but, the numbers are rising. 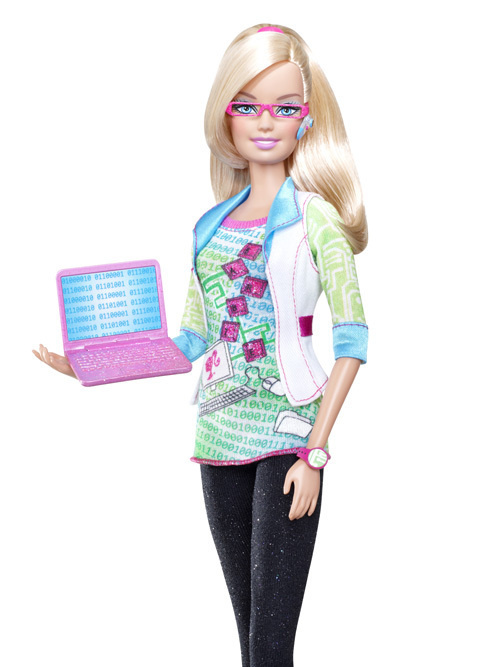 More girls are becoming open to the idea of programming software rather than just using it. I’m so tired of the constant, “Why aren’t there more women in tech?” I’m tired of the cynicism from men and women that “anything you can do, I can do better.” I would love to see this world become more open to both men and women enjoying life because it’s fun and not because we are told our gender can’t or shouldn’t. 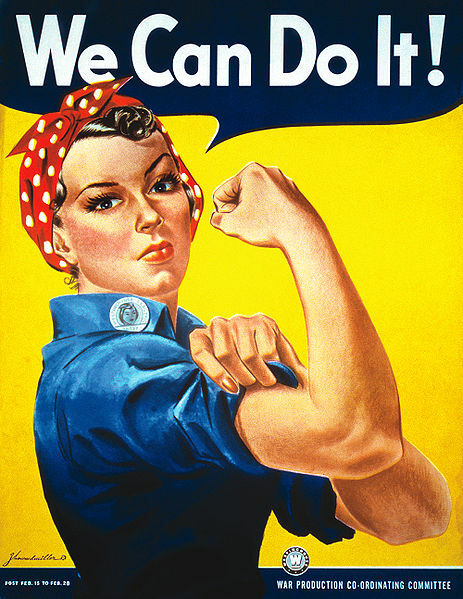 So what do you think about the role of women in the technology and science field? Let us know in the comments! ← Really, A Book Burning Party?